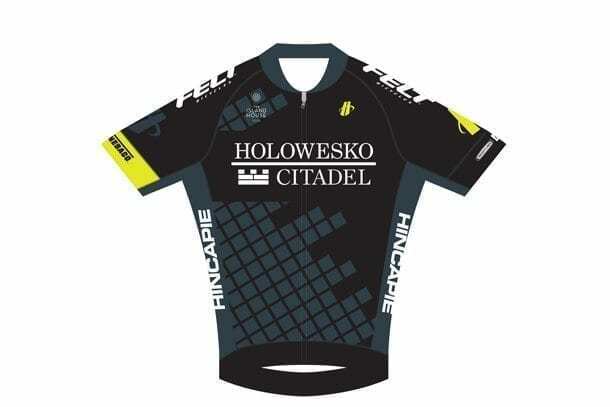 The Holowesko | Citadel Racing Team p|b Hincapie Sportswear has unveiled their new jersey for 2016. The Holowesko | Citadel Racing Team p|b Hincapie Sportswear Team is readying for its first 2016 objective, the Tour de San Luis and it will also be their first time racing in the Team’s new jersey. Chief Sports Director Thomas Craven plans to send the following squad: Oscar Clark, Travis McCabe, Robin Carpenter, Miguel Bryon, Jon Hornbeck and Rob Squire. The Holowesko | Citadel Racing Team is registered with USA Cycling as a UCI Continental Team.